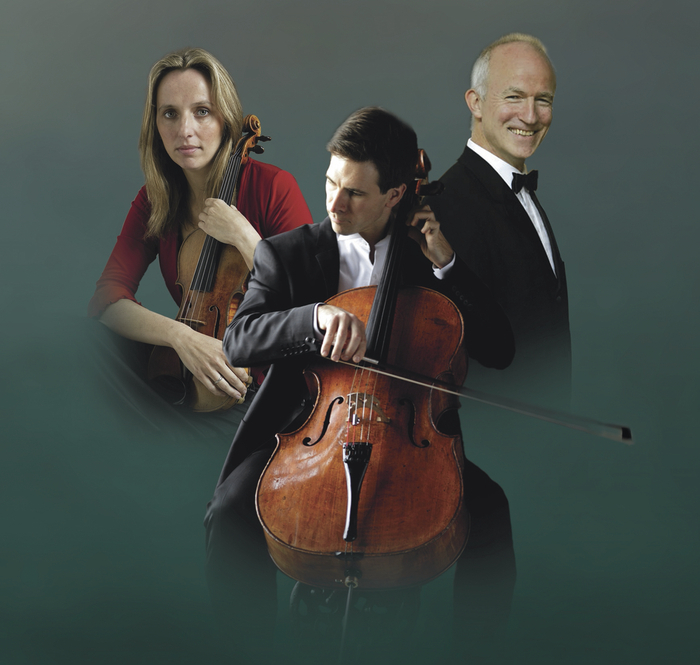 KATHERINE HUNKA, leader and director of the Irish Chamber Orchestra; top British cellist Guy Johnston; and one of Ireland’s finest pianists Hugh Tinney, are joining forces for a concert in NUI Galway’s Aula Maxima on Tuesday November 11 at 8pm. The programme features Reinhold Glière’s ‘Duos for Violin and Cello Op 39; Schubert's Piano Trio No 2, notably used by Stanley Kubrick in his 1975 film Barry Lyndon; and César Franck’s celebrated Sonata for Violin and Piano. Londoner Katherine Hunka has been leader of the Irish Chamber Orchestra since 2002. She was a member of The Academy of St Martin in the Fields, and has toured with Murray Perriah and Joshua Bell. The award-winning Hugh Tinney has recorded solo, chamber, and concerto repertoire for several other CD labels, performed at festivals across the globe, and is joint artistic director of the Westport Festival of Chamber Music. Guy Johnston has played at the First Night of the BBC Proms. His debut album Orchid Classics was released to critical acclaim. Tickets are €18/14/6 from Music for Galway (091 - 705962, www.musicforgalway.ie ) or Opus2, High Street.